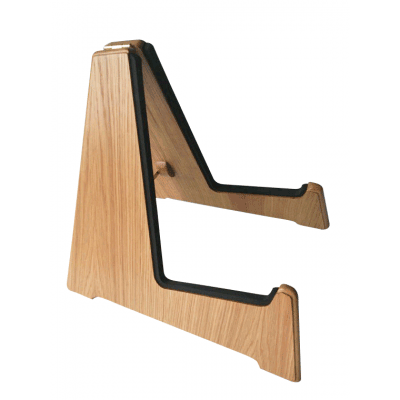 Stand Made offers an established and beautiful selection of handmade Oak Wooden Electric Guitar Stands which are suitable for all Electric and Bass Guitars up to 70mm deep. We make stands in Natural/Light, Dark, Antique Brown and Weathered real Oak veneers and are confident our range of tonal finishes beautifully complement the wide variety of woods so many electric guitars are made from. We specialise in producing highly functional yet stylish pieces of guitar furniture that musicians can be proud to showcase in their home, music room or studios. Each of our floor stands is fitted with a smart Brass plated hinge and Stay for easy setup and storage when it is not in use. 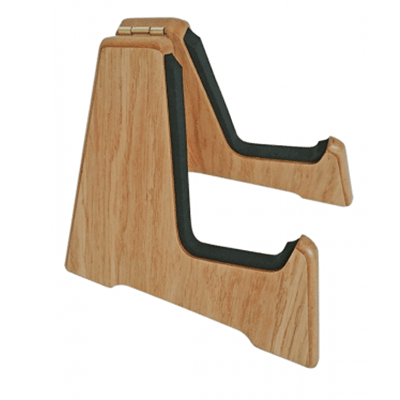 Our wooden Electric Guitar Stands are coated with an ultra-tough Polyurethane Varnish to achieve a finish that both protects and enhances the wood’s natural oak grain. The stand’s channels are neatly fitted with quality high-density foam that cushion and cradle each instrument safely. A range of alternative & renewable cushioned channels is also available – including felt coated foam and leather. 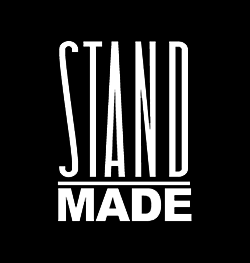 Everyone involved at Stand Made is an active guitar player and has been hands on in developing the current range of stands and racks now available to order. 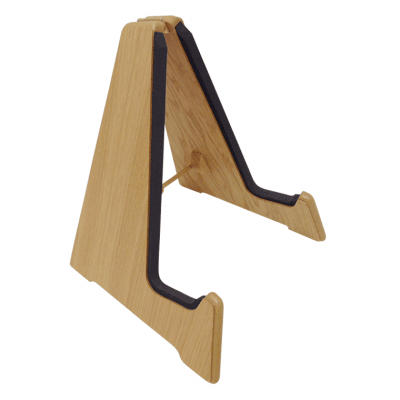 All of our Guitar Stands are individually handmade in our workshop located in Shropshire, England and we take a great deal of pride in still using traditional woodworking tools, methods and only the best quality solid oak and real oak veneers. But don’t just take our word for it – find out what some of our customers have to say about our guitar stands! 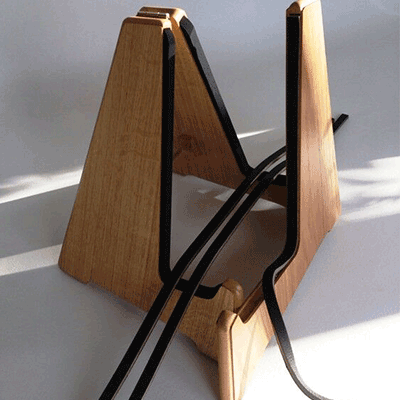 All our Guitar Stands are delivered free and fully assembled to customers on the UK Mainland. Customers living off mainland UK, in Europe, USA, Asia and Australasia should contact us for a quotation on shipping costs and delivery and read our full terms & conditions before placing an order.